For a limited time only, a colorful display of master quilts from the museum’s renowned collection will be on view. The lively selection includes Amish, stenciled, pieced, and appliquéd quilts. Please enjoy these rarely seen textiles while a portion of our space undergoes repairs. 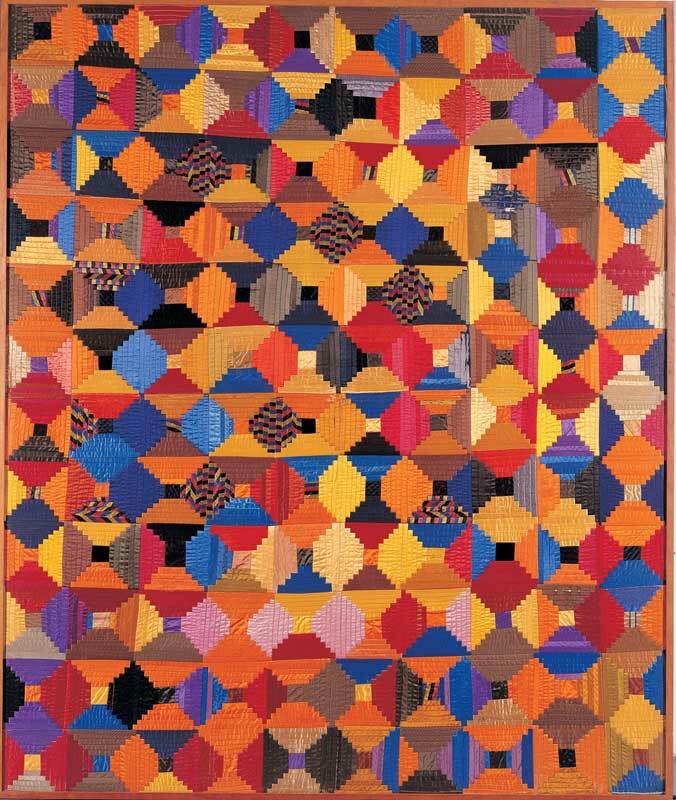 Log Cabin Quilt, Courthouse Steps Variation, Samuel Steinberger (1865–c. 1934), New York City, 1890–1910, silk, 69 1/2 x 58 in., gift of Cyril Irwin Nelson in honor of Robert Bishop, American Folk Art Museum director (1977–1991), 1990.17.8. Photo by Gavin Ashworth. 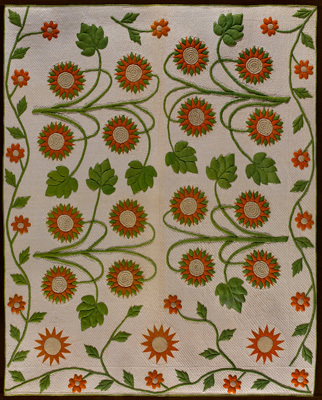 Sunflowers Quilt, artist unidentified, possibly Pennsylvania, 1860–1880, cotton, 82 x 66 1⁄2 in., gift of Cyril Irwin Nelson in honor of Laura Fisher, 2003.9.1. Photo by Gavin Ashworth. 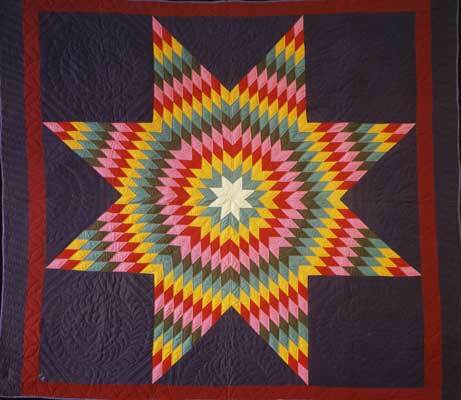 Lone Star Quilt, Mrs. David Bontrager (c. 1890–? ); initialed “DB,” Emma, Indiana, 1920–1930, cotton, 84 x 74 in., gift of David Pottinger, 1980.37.50. Photo by John Parnell. 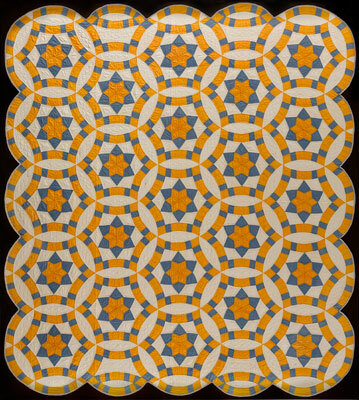 Golden Wedding Ring Quilt, artist unidentified, United States, 1934–1940, cotton, 81 1/4 x 72 1/2 in., gift of Robert Bishop, 1993.4.3. Photo by Gavin Ashworth. The exhibition is supported in part by Joyce Berger Cowin, the David Davies and Jack Weeden Fund for Exhibitions, the Ford Foundation, the Leir Charitable Foundations, public funds from the New York City Department of Cultural Affairs in partnership with the City Council, and the New York State Council on the Arts with the support of Governor Andrew Cuomo and the New York State Legislature.